I thought it might be fun to do a mini-cheer from a cat’s point of view, haha. 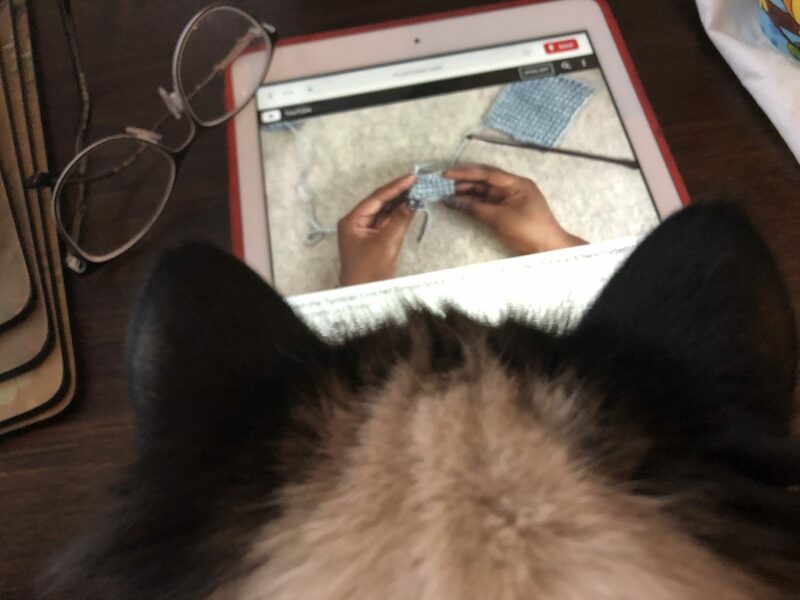 Here he is, starting his morning watching a Tunisian crochet tutorial with me. He likes to watch the yarn move, but has learned that it is “paws off” in real life. A blue jay has been coming to eat the last of the carnations off of the plant on the deck. I like to leave it for their snacking pleasure, and it is entertainment for kitty as well. In fact, he will sit here and watch, hoping for some live action “tv”. No birds on this day, but a couple deer showed up so his patience was rewarded. Snooze time in cozy blankets to finish the afternoon.